PrairieCon prides itself on providing a lot of games for people to choose from. When we say a lot, we mean LIKE A LOT. But for that to happen we still need more games and more people to run those games! We have just over two months to go before the convention, and we have about half the number of games that we want to make the convention, so, with a little bit of suppressed panic, we ask you, would you run some games at the convention this year? Boardgames, card games, role-playing games, mini games, we need them all! PrairieCon 2018 will be at Assiniboine Community College this year, on June 15-17, 2018. Like last year, we have 17 slots running throughout the weekend with a duration of two-hours each. In this way, we offer many shorter game slots with the option of double or longer slot opportunities for longer games. PrairieCon 39 call for games! Traps. Whether in the deepest of space, in the darkness of dungeons or in the deception of boardgames, traps exist everywhere around us. In honour of this everpresent thing, PrairieCon celebrates the trap. 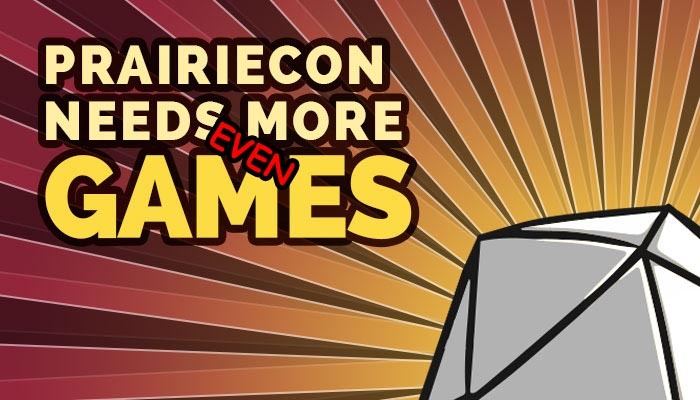 Yes, PrairieCon 2018 will be a fun trap for us all! Whether you are a builder, a disarmer or an occasional target, this is the year for you! To make this trap happen (or disarm it, your call), we need your help. We need volunteers to run games and do the many other important tasks that make the con a success. 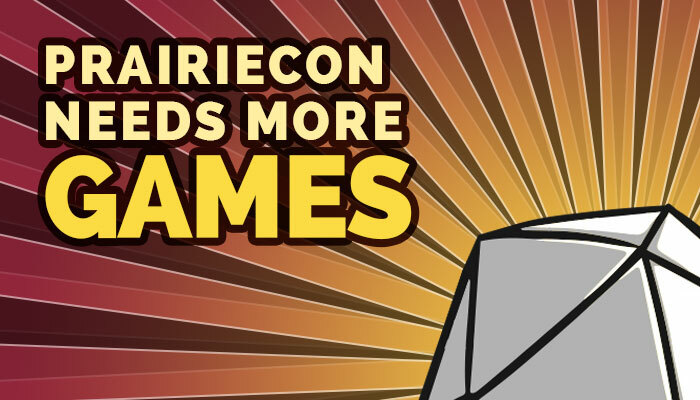 Become a PrairieCon Gamemaster or a PrairieCon Volunteer. Or both! The more games we have, the more successful we can be and the more perfect PrairieCon will become. If running games is not for you, we have other ways to help, like setting up, trap detection, cleaning up, running the canteen, and registration. PrairieCon 2018 (XXXIX/39) will be at Assiniboine Community College this year, 15-17 June 2018. Similar to last year, we have 17 slots each with a duration of 2 hours. With this schedule, we may offer many shorter games with the option of double or longer slot opportunities for longer games. See the attached slot schedule pdf. We need the details about your games by March 20. As a way of thanking you for making PrairieCon a success, Gamemasters and volunteers alike will receive some special perks. The more slots in which you run games or volunteer your time the more perks you will get. See the attached recognition and incentive pdf. We need the details about your games by March 20. The info we need is in the attached Gamemaster FAQ and Game Submission Requirements. Again this year, all GMs who provide all of the information requested, in a manner that may be easily copied and pasted, and by the deadline of 20 March, will be entered into a special thank you draw. Giving us all the info early makes our lives easier. If you want to GM but are not sure what you want to run, let me know. We sometimes receive Play-to-Win games that need GMs. If you’re interested, contact James at games@prairiecon.com. Convenshun only happen when minion do work! 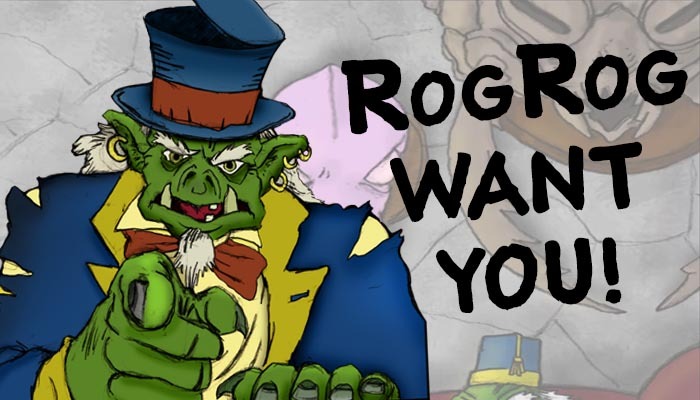 Rogrog want you to volunteer to be minion! Glorious job of kleaning Rog Rog’s toes and uuhhhh others. What Rog Rog is trying to say is PrairieCon is looking for volunteers to help on the committee. We are looking for people to help with Promotions and we are looking for a new Treasurer. Send us an email, if you think you can help with either of those positions or if you just think you have something to offer to make PrairieCon better!